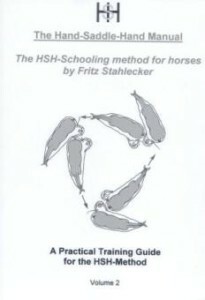 Unfortunately the first book, Das motivierte Dressurpferd, is still not available in English, but we can offer you the Practical Training Guide for the HSH-Method. Fritz Stahlecker wrote this manual in 2007/2008. With this much more concise and in comparison to the book revised manual he gives a sort of guide line how to proceed when practising HSH. He describes week by week which exercise would be recommandable and explains how to go on. Very helpful and encouraging for all those who work with this method on their own!